However, not everyone within the BCCI is happy with the verdict and Diana Edulji and Anirudh Choudhary have taken exception to the ruling. 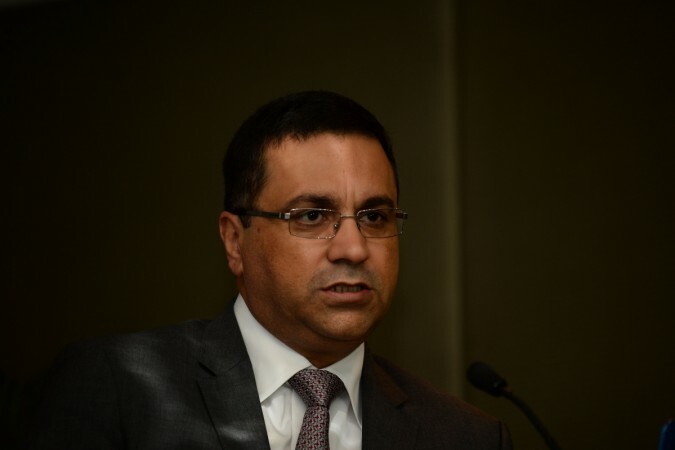 After being cleared of the sexual harassment charges, BCCI CEO Rahul Johri has resumed office and has described the last six weeks as the 'toughest period' of his life. "I resumed office today and all my colleagues have been warm and welcoming. It has been a tough one and a half months for me and my family. I wish no one has to go through what I have gone through," Johri told PTI on Wednesday. Quashing all reports that he had tendered his resignation in the wake of charges, Johri has said that he is looking forward to continuing his office and responsibilities. "This is absolute rubbish. I have resumed office from today and will carry on my responsibilities as the CEO of this organisation," Johri said. "My wife Seema, the two sons sat through every meeting with my legal team. They were a part of my defence. Had my family and friends not been around, I would have found it mentally difficult to fight this battle. I had faith in God that I will come out clean from this mess," Johri informed. However, not everyone within the BCCI was happy with the verdict and Diana Edulji and Anirudh Choudhary have taken exception to the ruling. "Since there is no consensus between the two members of the Committee of Administrators regarding what action should be taken against Mr. Rahul Johri, the Chairman [Vinod Rai] stated that the natural consequence would be that Mr. Johri continues as the CEO of BCCI and is entitled resume office," a CoA release said. "Ms. Edulji disagreed with this. "This is extremely shocking to say the least and this cannot be willed away by someone just because one may be in a position of authority. What makes it even more serious is that the time period referred to is one where the Hon'ble Supreme Court was monitoring the administration of the BCCI through the CoA. We cannot lose sight of the fact one member of the CoA i.e. 50% of the CoA appointed by the Hon'ble Supreme Court believes this to be serious enough to make the position of the CEO untenable in an organisation such as the BCCI," Chaudhary said in a statement.